Working as an interventionist for the last 23 years, I have been a maverick in the field, swimming against the current “surprise model” so much the center of many reality shows and the media. I don’t believe in subjecting unsuspecting addicts to surprise attacks. All my research, studies and practice have continually reinforced the belief that addiction is a family disorder. We need to move from the idea that we’re treating addicts as flawed individuals to an approach that recognizes that addiction is a family disease. I specialize in an open and inclusive model of intervention. Where, with coaching, the addicted person does become aware of the intervention. The message being that we as a family are ready for change, and we would like you to join us, but with or without you, we are moving forward. Families and partners play a major role in the progression of every addiction. Behind every addict is a codependent, and the main thrust of my job is to collapse the codependent inter-family structures that allow addiction to progress. Often driven by misguided love and loyalty the codependency will cripple the addict and splinter the family. Trying to control and contain addiction will result in many lost and unhappy years. Families don’t have to wait for their addicted relatives to decide to change their lives. They have power to influence the lives and decisions of their loved one. Families can create an atmosphere of curiosity by changing their behaviors and reactions to the addiction. Families are engaged in a sophisticated and deadly dance but when family members decide to change the ways they interact with troubled members, addicts will shift their behavior in return. I’ve come to understand that underneath the massive weight of addiction is a lost, hurting, terrified, good and decent person. The skill of a great interventionist is to be able to access that person quickly and effectively. I don’t think that surprising a person with their closest friends and family is the way to begin a trusting relationship. 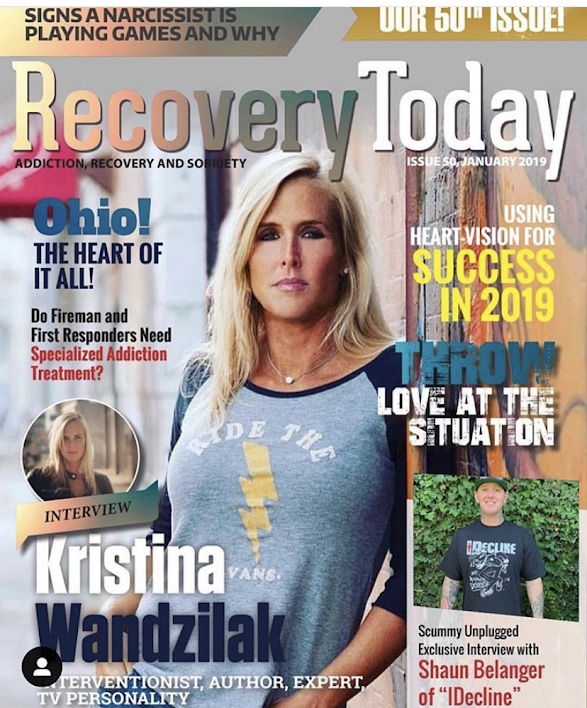 It is my job not just to get addicts help but also to inspire change and it’s my calling to ignite the small flicker of light that is buried deep within every addict. And I begin this connection by being honest, up front and respectful. With the invitational process, 95 percent of the time, the addicted person will join the intervention day but in cases where they don't, the intervention continues as it is as much for the family as the addict. Families do not have to suffer with addiction; they can heal, with or without, their loved one. We look at addiction, codependency and enabling and caretaking behaviors. If the addict agrees to treatment, he or she leaves as soon as possible. If help isn't accepted, we talk about how the relationships in the family will have to change. Either way, treatment recommendations are made for each member of the family. "Aftervention" – a copy righted concept -- is when we come back together, once the addicted person and the family have completed their treatment plans. We look at how far they have come as individuals therefore creating a healthier family system that is in recovery. Aftervention is a beautiful time of reflection and commitment moving forward. While working as an interventionist is not always easy but it is fulfilling and I consider a great privilege to have spent half my life helping addicts and families. I am fueled and driven in this endeavor by my hard-earned personal experience with addiction, education and my great passion for addicts and their families. Recovery is possible and families do heal, change and grow. I meet people and their most broken, create a connection and help illuminate the way out. I have a front seat to watching the most extra ordinary stories of redemption. I am humbled and forever grateful for this career that has taken me on great adventures and to the door steps of some of the most exceptional families. Like the faint smell of a beautiful perfume that lingers in the room, long after the person is gone, so it is with every family I have ever worked with. I carry on my heart a piece of every intervention: I am changed. I am stronger and I am wiser for this work. I thank every family that has trusted me enough to open your door and lives to me, you are my greatest teachers and I am better for having met you.